Is Teach for America Good for America? Teach for America (TFA), an AmeriCorps program that provides an accelerated path for elite college graduates to spend two years teaching in low-income community schools, is as prominent—and as controversial—as ever. In recent years, nearly one in five Harvard seniors has applied to join the organization, which placed 6,000 first-year corps members this academic year. But it has also come under increasing attack, and a spate of articles has run in recent months alternately slamming and lionizing the organization. Just this past October 23, the Harvard Crimson’s editorial page featured a staff editorial supporting TFA dueling with an opinion column opposing it that was much-discussed on campus and beyond. As TFA scales up, it is becoming increasingly important to reflect on the role it plays in America’s complex education ecosystem. And with the organization producing more alums—there are 32,000 at last count—and the academy analyzing TFA’s effects more closely, a critical mass of guides is now emerging to help us think about how we should think about TFA. The interviews conducted here are no scientific sample—and TFA is a regional organization—so it’s important not to overgeneralize. Nevertheless, the debate between TFA’s critics and its supporters seems to have come to an impasse, in part, because there’s an analytical gap between the effects each side identifies: much of the criticism concerns near-term, tangible disruptions, while many of TFA’s declared virtues are tougher to measure and require a longer-term view. In short, what you think about TFA seems to depend upon how large those immediate costs loom to you, and how large you anticipate those future dividends will be. Allison LaFave’s experience with TFA was so dissatisfying that she declined to return for a second year. For most of her young adulthood, LaFave was raised by her father—a lifelong public school teacher—in De Smet, South Dakota, a prairie town of about 1,000 residents. Growing up in a poor community, she was drawn to social justice; after making it to Harvard, she became active in the Phillips Brooks House Association (PBHA), eventually serving as a director for its Harvard Square Homeless Shelter. LaFave’s is only one experience and her comments above may reflect more on the charter school she worked at than on TFA. But she and several other TFA skeptics cited several key concerns about the organization itself; others, more favorable to TFA, also raised some of the same issues. TFA teachers leave too soon. Attrition is a thorny problem for both TFA and its critics. On the one hand, many of TFA’s teachers do leave: in their study of three national cohorts of TFA corps members, HGSE professor Susan Moore Johnson—a former high school teacher and administrator and an expert on teacher policy and school reform—and Morgaen Donaldson (an assistant professor at the University of Connecticut) found that 72 percent leave teaching within five years. On the other hand, attrition is high among all new teachers: 46 percent leave within five years, and turnover in high-needs schools is especially high. As Donaldson and Johnson write, “Good data are not currently available that would allow us to compare TFA teachers’ turnover to teachers’ turnover in similar high-poverty schools, although reports from Philadelphia suggest that the rates may be roughly comparable.” There is no evidence, in other words, that TFA teachers are leaving high-needs schools any faster than anyone else is—but they are leaving. In response to the “revolving door” critique, TFA’s website notes that “unfortunately, teaching in high needs schools in America is already a revolving door.” That’s true, and it’s a problem—Johnson contends that high turnover prevents schools from building institutional capacity and points to research showing that it harms student achievement. If it were easy to measure a given teacher’s impact, many of these arguments would be moot. Measuring impact involves numerous variables across varied districts—from subject matter to demographics to whether you want to compare TFA teachers to all teachers, or just the new ones. Moreover, schools are tough places in which to run pristine, “hands-off,” randomized trials. As Susan Moore Johnson notes, the research design of such studies has often been “compromised by the fact that people within the schools knew who was TFA and who wasn’t, and it changed what kind of support and assistance they’d give people.” Nevertheless, Johnson affirms that the general consensus has been that TFA teachers, on average, produce minor gains in math, but none in reading. This September, Mathematica Policy Research, a company that specializes in evaluating social policies, released a study widely hailed as a win for TFA. The study, sponsored by the U.S. Department of Education, evaluated only secondary (middle and high-school) math teachers, but it compared TFA teachers against colleagues of all experience levels—that is, not just against other, struggling novices—and controlled for an impressive array of variables. It found that, on average, a secondary-school student with a TFA teacher learns an extra 2.6 months of math compared to a fellow student with a non-TFA teacher. Jarell Lee grew up poor and black in Cleveland, raised by a single mother. When he was in first and second grade, they were homeless, “living in and out of shelters.” He went to low-achieving public schools, but excelled; in ninth grade, he earned a scholarship to one of the area’s best private schools. He first considered TFA during his freshman year, when a recruiter came to a Harvard Black Men’s Forum meeting—“I said to myself, ‘This sounds like something I can do.’” By his senior year, Lee had already earned—through a summer program run by Uncommon Schools, a well-known charter network—an offer to teach the following year in a charter school classroom in Bed-Stuy. But he specifically wanted to enter the classroom as a TFA corps member. “I wanted to be part of the movement,” he explains. Like LaFave, Lee grew up poor in a single-parent home; attended lackluster public schools; came to Harvard, was active in PBHA, and graduated in 2010; and became an elementary-school teacher at a charter in Bed-Stuy. Unlike LaFave, Lee loved TFA. Reckoned short-term, TFA is a wash on teacher attrition and a medium-sized improvement on student achievement in math. What about the longer view? Merseth is “less sanguine” about TFA’s near-term effects in the classroom: “It’s kind of a squandered resource.” But TFA’s effect on teacher training in America is a longer-term dividend—further away, and even harder to measure than student achievement—that the program’s supporters ascribe to TFA. It’s not the only one. That level of interest has generated ripple effects on campuses across the country: HGSE dean James Ryan reports that, as an addition to UTEP, the school is mulling further “ways of enabling Harvard seniors to get into teaching in addition to TFA.” Ryan is careful to note that these plans are “definitely in the gestation phase,” but he calls undergraduate interest in teaching “a really fantastic development” that “we ought to capitalize on.” Though it’s not clear what kind of a program the University might launch—one could imagine an expanded version of UTEP or a prestigious postgraduate teaching fellowship—it’s unlikely Harvard (or its peers) would be considering such a program had TFA not paved the way. The Ec 10 in Dorchester Hypothesis. Several years ago, in Harvard’s Ec 10—the massive introductory course that teaches undergraduates the basic principles of free-market economics—some students who’d grown up on the wrong side of the tracks used to joke, half-seriously, that a week of classes should be devoted to hanging out in Dorchester, one of Boston’s poorer neighborhoods. That way, the idea went, everyone in the class would gain at least some idea of what capitalism looks like for those whose skills are not heavily bid-up on the open market. Neither Lee nor Savage grew up rich, but some corps members did. Although 39 percent of TFA’s 2013 corps received Pell Grants, the organization also mobilizes people of privilege to work in high-needs communities. Some find that model philosophically problematic; it may also, however, be a practical path to change in a society in which elites, say what you will, are likely to remain influential. Jocey Karlan ’12, for example, who attended Beverly Hills High School, now teaches at Susan Miller Dorsey High School, one of the lowest-performing schools in Los Angeles. “I wouldn’t be at Dorsey if it weren’t for TFA,” she states simply. The Baxter Travenol Hypothesis. In 2005, Monica Higgins, now a professor of education at HGSE, published Career Imprints, a book that traced the burgeoning biotech field to one “prolific spawner”: Baxter Travenol, a healthcare-supplies company that somehow wound up with former managers “on the IPO teams of nearly one-quarter of all of the biotechnology companies that went public between 1979 and 1996.” Higgins’s research showed that Baxter’s organizational practices left “career imprints” that launched so many “Baxter Boys” into influential, entrepreneurial roles. The company helped birth an industry. If an organization is successful enough, it eventually turns from an underdog into a favorite. This transition forces it to adapt. What works for David when he is David does not necessarily work for David when he becomes Goliath (and people start slinging rocks at him). Many proposed that TFA extend the length of its commitment, noting that even the best teachers rarely hit their stride before year two. In addition to lengthening the commitment, Katherine Merseth suggests that TFA expand the Institute from five weeks to six to nine months. She also advises them to increase support to new teachers once they are in the classroom, because new teachers learn the most from reflecting on these early teaching experiences. Noam Hassenfeld, who wrote an article for the website PolicyMic entitled “This Former TFA Corps Member Thinks You Should Join City Year Instead,” argues for placing corps members as teaching assistants rather than teachers—“a meaningful educational experience that can only help and not hurt.” He also suggests a “Doctors Without Borders” model for TFA that would provide incentives, financial and otherwise, for teachers who have already demonstrated commitment to the profession—not novices fresh out of college—to take jobs in higher-needs districts. Susan Moore Johnson, drawing on other research done with Morgaen Donaldson, thinks TFA should improve the way it matches corps members with teaching assignments. Instead, TFA introduces some short-term disruptions while placing a bet on longer-term, potential benefits. In that sense, it’s like other hard public choices: Should we take this money out of everyone’s paychecks to provide retirement pensions? Should we send people to fight in a foreign country to safeguard a future peace? Should we blow up the individual insurance market to create a better, risk-pooled one? These efforts all disrupt present lives for uncertain future gains. In education, because the status quo is failing so dramatically in the highest-need areas, it’s hard to imagine a feasible solution that doesn’t consign some of the current generation to more problems while we try a range of ideas that could, we hope, make things better one day. In theory, could we do something about poverty that would help in the here-and-now? Yes. But we’ve been bad at fixing poverty for quite some time now, and political will is in short supply. Mustering that will may require a model—like TFA’s—that brings elites face-to-face with the fires burning in the most troubled corners of our country. The greater hope, then, is that the debate itself will lead to further innovation and action. To some degree, that is already happening—as with some of the new teacher certification programs (e.g., Boston Teacher Residency), or HGSE dean Ryan’s ongoing discussions within the University to support undergraduate interest in teaching. That action seems in the spirit of what’s easiest to love in the TFA story: Wendy Kopp had an idea and went for it. That same opportunity is available to all comers—and TFA, if it can do no other good in its harshest critics’ eyes, may yet impel someone to do something that does shift the status quo. That’s the potential payoff implicit in the organization’s wager. 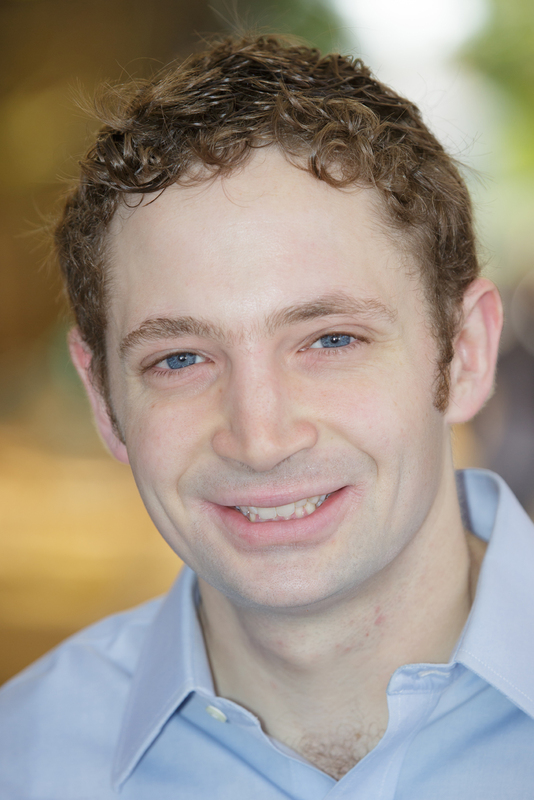 Michael Zuckerman ’10 is a writer, resident tutor at Harvard College’s Lowell House, and staff member at Harvard Kennedy School’s Center for Public Leadership. He will be entering Harvard Law School in the fall. To learn more about him, read his mid-year Commencement address, “In the Valley,” from the Harvard Magazine archives.